Currently employed as Industry Manager at trivago for Greece, Cyprus and Turkey. She has been with trivago since its early days (2008); successfully managed the launch and the development of trivago’s Greek platform. 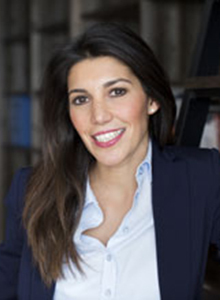 Before taking on the current role as Industry Manager for Greece, Cyprus and Turkey, Chara worked in the International Department as Country Developer for the Mediterranean countries, gaining expert experience in marketing strategy, business development, market research, competitive analysis, and team management. Born in Athens, Greece Chara has studied in Cambridge Judge Business School (MBA-Executive Education, Cambridge General Management Program), in Ruhr Universitat Bochum (MSc- Institute for Applied Work Science) and in National & Kapodistrian University of Athens (Bachelor of Science, Faculty of Physical Education and Sport Science).